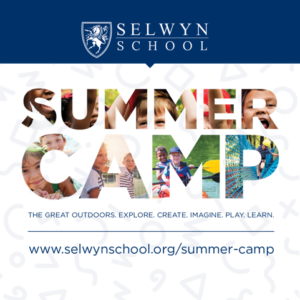 The high caliber of our student programs, staff, and facilities is made possible by the generosity and dedication of our Selwyn community, as Selwyn is a non profit school. Selwyn School has a rich tradition of giving that can be traced back to the very beginning of our story. This is how we have shaped our school into what it is: a place of learning for children of all ages, where they can develop the skills to succeed long after their time at Selwyn. The community and Selwyn volunteer program are instrumental in supporting the school’s opportunities for students. This includes financial support, but we also encourage families to give some time and talents to help improve our school and its programs. Our volunteers are essential and model the importance of community service, ultimately providing students with a more meaningful all-around educational experience. When we actively support the place where our children learn and grow, we show them the value of a good education and provide them with an environment where they can flourish. Selwyn’s Annual Fund is a yearly effort that begins in the fall and concludes at the end of each school year—though for tax purposes, most families make a gift before the end of the calendar year. This initiative raises unrestricted funds for Selwyn’s operating budget and, like most other independent schools, is our most important fundraising drive each year. The Annual Fund raises funds that are used immediately for the critical needs of the school. As with most independent schools, tuition revenue alone does not cover the whole cost of educating each student. This disparity in tuition dollars is significant, and we ask that families with the capacity to do so consider giving at least $2,500 to the Annual Fund. We know that some families will give more while others give less; gifts at every level and to every fund are important and valued. Thus, the Annual Fund helps bridge the gap between tuition and the actual cost of educating a child at Selwyn. Increases in tuition might make a Selwyn education inaccessible for many families and limit the diversity of the student body. Your tax-deductible gifts to the Annual Fund allow the school to keep tuition increases to a minimum while expanding the depth and breadth of programs and opportunities. Capital gifts provide the means for physical expansion, restoration, and upkeep of Selwyn’s campus. The recent Preschool building and Selwyn Commons are examples of the impact of this type of giving. Capital projects inspire growth and development within the Selwyn community and allow our campus to flourish. Several opportunities for capital expansion exist within our master plan, and we invite you to inquire about these if you are interested in supporting Selwyn’s facilities expansion. Partnerships with Box Tops 4 Education, Amazon Smile, Kroger Community Rewards, and Spirit Shop all provide support to Selwyn. When you buy or sell a home with Kaki Lybbert of Judge Fite Realty, Selwyn will receive 25% of the commission. Endowment funds are permanent, self-sustaining sources of funding for Selwyn students, scholarships, programs, faculty, or capital needs; a minimum of $20,000 is required to establish an endowment fund. Endowed assets are invested, and each year a portion of the fund’s value—typically 5%—is disbursed in support of the fund’s purpose. Excess earnings of this distribution build the fund’s market value, growing the fund in perpetuity for the purpose you have designated. Anyone may contribute to the principal of an established endowment. Endowed funds at Selwyn can be named for virtually anyone: yourself, your family, your friend, your favorite teacher, or your company or family foundation, to mention just a few examples. Most importantly, though, your endowed fund will provide permanent, lasting care for Selwyn’s students, teachers, programs, and facilities. International Night: Integral to Selwyn’s mission is the cultivation of global citizens. Part of accomplishing that mission involves exposing students to different cultures and ideas. Each year Selwyn School hosts its “International Night,” which is a culmination of students’ year-long research and fine arts projects showcasing their study of assigned countries. As Selwyn’s signature event each year, International Night is also an opportunity to demonstrate to the broader community the accomplishments of Selwyn students in the furtherance of our mission. International Night, therefore, also includes cuisine from the countries and involves the entire community to speak to students and demonstrate local ties to the global economy. To support this event and to support the operating needs of Selwyn School, we host a silent and live auction during the evening. There may be other major events in the future, and we invite your support for those as well. Many companies and charitable organizations will match their employees’ philanthropic contributions, allowing you to double, and sometimes triple, your gift to Selwyn. Other companies will match gifts of technology. Ask your company’s Human Resources department about their charitable match policy and maximize the impact of your gift. Selwyn School is best equipped to inspire future generations of students when forward-thinking members of our community, like you, remember Selwyn in their will. These gifts provide a stable future for Selwyn students for decades to come, in addition to providing possible significant tax advantages to you and your family. Through diligent planning and consultation with your financial advisor, a planned or estate gift enables you to make a lasting, impactful legacy for students at Selwyn. Gifts of time and talent are as valuable to Selwyn as gifts of treasure. Parent and community volunteers judge science fairs, sew costumes, chaperone field trips, and sometimes prepare treats for bake sales and other events. Selwyn volunteers represent the school at local events, they attend athletic contests and run toy drives during the holiday season. Time spent with and in service to our students demonstrates to them the strong network of advocates supporting their educational journey. Selwyn School will happily receive gifts of stock or appreciated securities. Contact the Development Office to begin the stock transfer process. Students’ needs are the impetus behind every fundraiser at Selwyn. Student-led fundraisers develop students’ leadership skills and provide service to the community, which are foundational components of Selwyn’s mission. Since students at Selwyn learn to be self-advocates, they often organize student-led fundraisers that arise out of class interests and organization needs to support projects and extra-curricular activities. If you wish to make a credit card payment by phone, please call the Development Office at (940) 382-6771 x130. Scroll down to fill out the form below! *Payments made online are serviced by PayPal.